Every house has a junk drawer, shelf and sometimes closet, it’s necessary, and totally normal. It’s this place where we keep all the things we don’t know where or why to keep, but at the same time these are things we cannot just throw away. 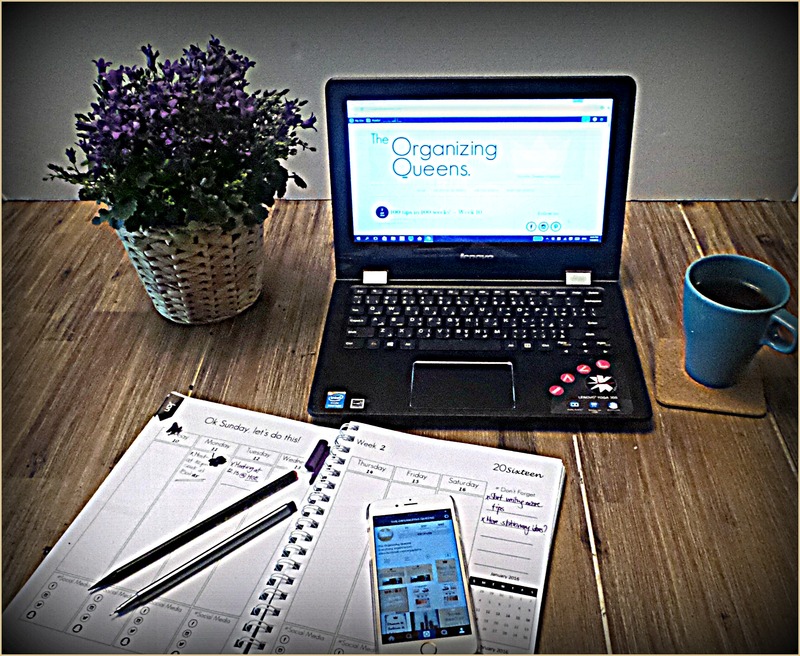 The Organizing Queens tip is, have your junk drawer but keep it decluttered and organized! Malak had a junk “shelf” in one of her closets, a place where she and husband used to keep all those gadgets and small electronics empty boxes and small parts, empty bags, unwanted gifts, etc… and this is how it looked till 2 days ago! When Malak decided to orgnize this cupboard, she knew she wouldn’t be able to just throw away things just because they didn’t have a home, she had to create a system that she could maintain in the future. She began, as usual, by taking everything out, and cleaning the cupboard. She started sorting contents, donated few things, got rid of few others, and the things she decided to keep were then categorized as broadly as possible. Malak got 3 identical boxes, with a small handle to make it easier to pull boxes out. We then created very simple labels that she attached to each box, and this is how they look now. She wrote a list of the items in each box, and simply stuck the lists to the inside of the cupboard, making it easier for her and her husband to reach for anything without having to search inside all boxes, as well as editing this list in the future! Simple, practical, and extremely smart! Decluttering and organizing your junk drawer is not difficult, on the contrary it’s very simple, just make sure you find an efficient simple system you could maintain in the future!